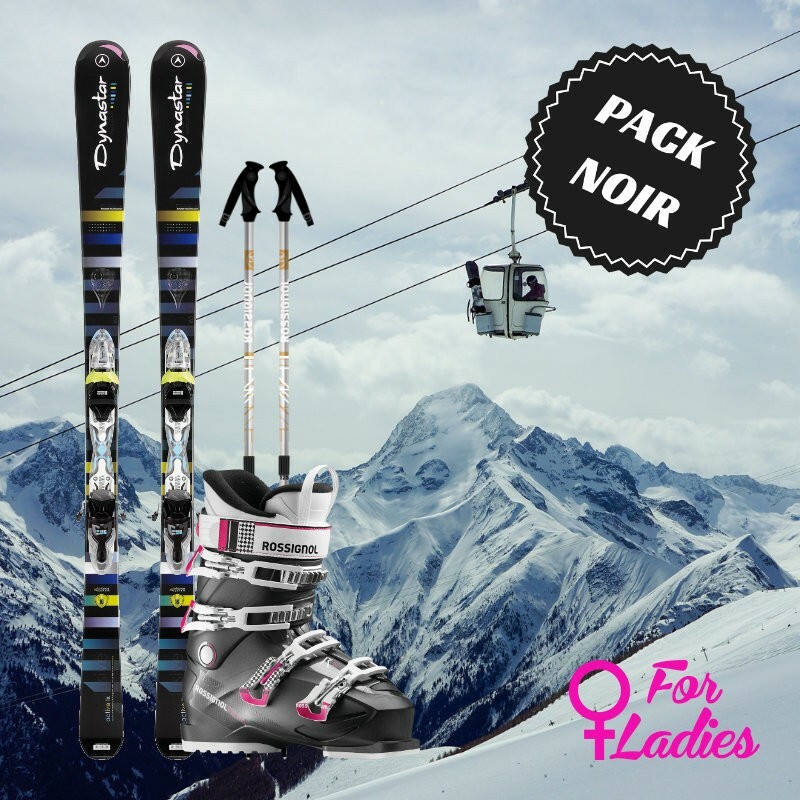 This pack for expert female skier includes a pair of skis, a pair of ski boots and a pair of ski poles. 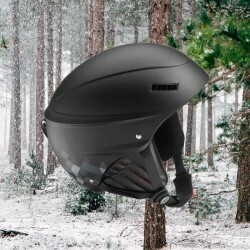 The black ski package is for confirmed skiers looking for a ski combining performance and versatility. 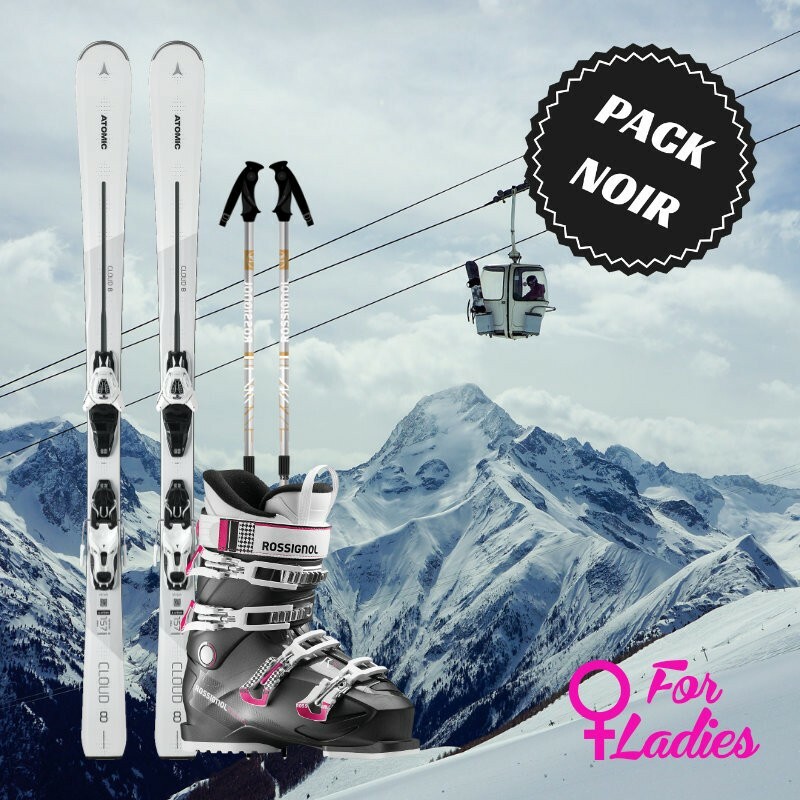 Enjoy the magical location offered by the resorts of Chamonix and test your performance with a ski for women who will accompany you regardless of your speed. 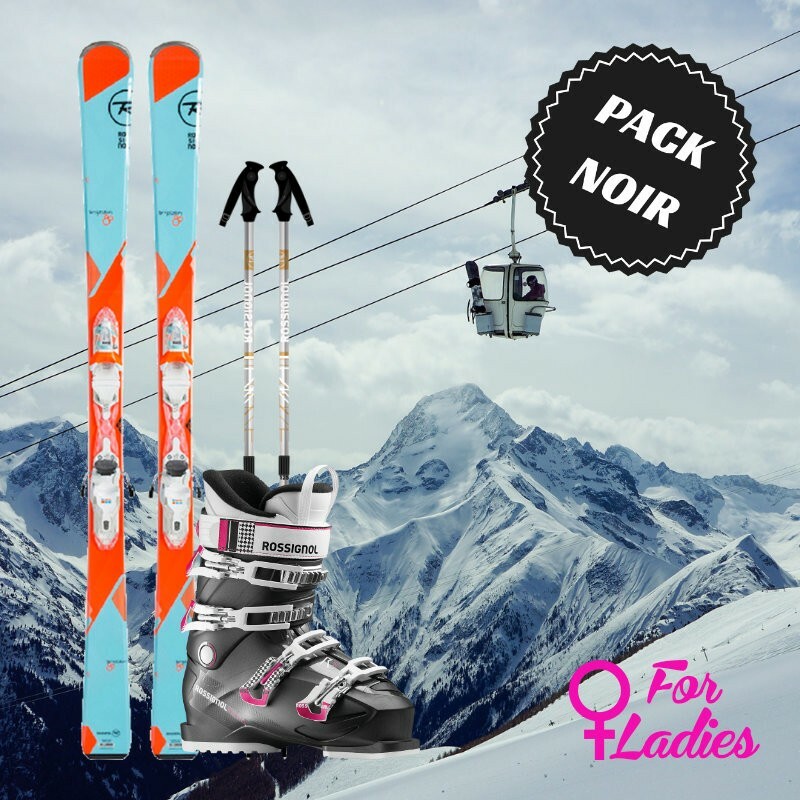 We have selected models of ski woman amongst the largest brands on the market, adapted for the slopes and all-mountain skiing. 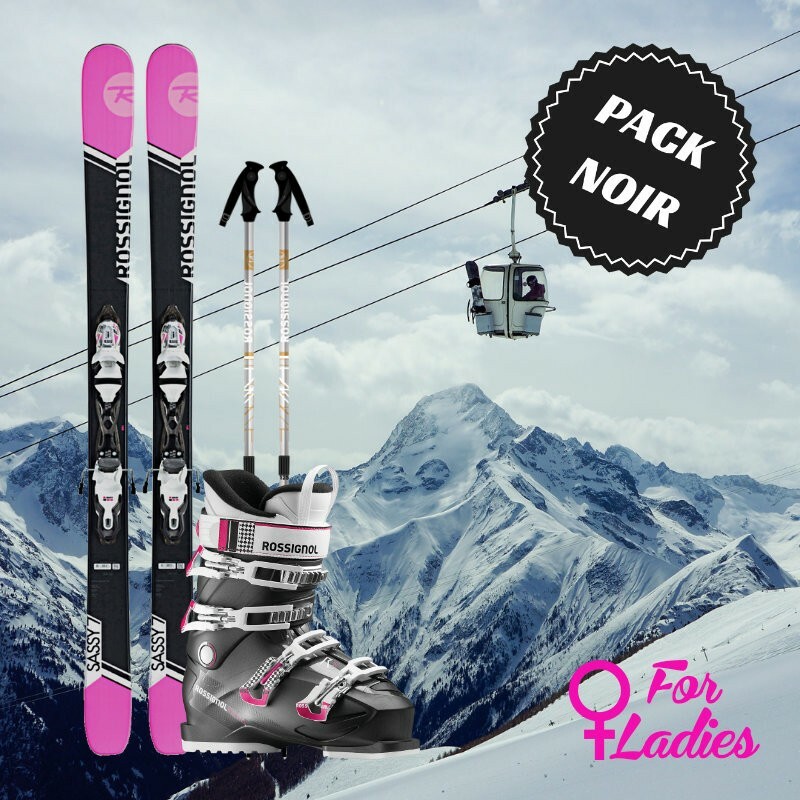 Black skis are rented with an effective and sporty pair of woman ski boots who bring the precision necessary to taking high speed. 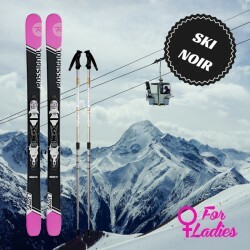 Available models: Rossignol smash 7, sassy, Salomon x-drive 80, Dynastar exclusive active Nightingale, Nightingale puirsuit 18 or equivalent model.